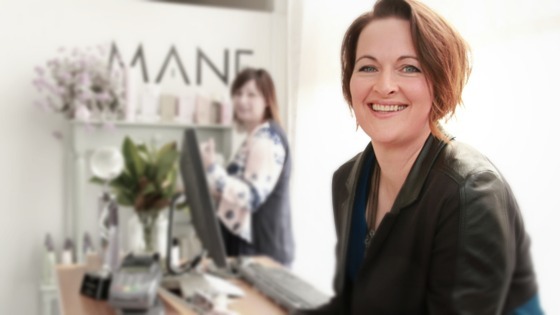 6 months after I qualified as a hairdresser I opened my first salon in a suburb in Wellington New Zealand. I had not long turned 20. I quickly fell in love with being a salon owner and running a business. A few years later I opened my 2nd salon in Wellington CBD. After a year or so of driving back and forth, between locations to service clients and manage my team, I was feeling really stressed out - it was then that I learned a really important lesson. I should be working more ON my business than IN it! I was feeling really stressed out - it was my first big important lesson a salon owner. 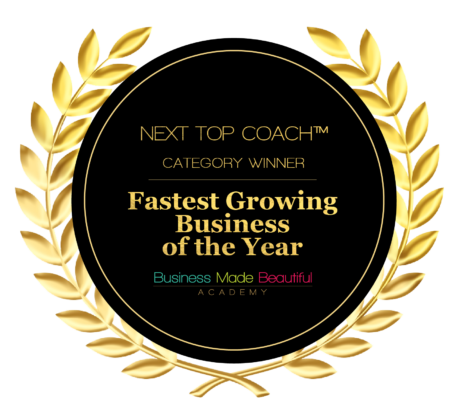 That lesson alone allowed me to grow my business to reach nearly 2 million a year in annual sales.I had an amazing team of 30 woman and I worked 15-20 hours a week on and in my business. I loved my clients with everything I had, some I had known since my first week where I learned to shampoo hair. These are intimate relationships we create with our clients. But at some point we have to connect with our inner business owner and make sure our number one priority is the health and wealth of our business. It is a living and breathing entity in itself after all. And I haven’t even mentioned the responsibility of the team we employ, we have their payroll, careers and livelihoods at stake. The journey from stylist to owner operator to business owner to entrepreneur is an important yet treacherous journey. One that, for me was filled with emotional joy, fear, determination and bravery. I pushed ahead despite the challenges and something magical happened. Every time I dropped one day a week servicing clients and redirecting that focus on growing and improving my business - my business grew, we became more successful and I made more money. I could not have achieved that if I was still servicing my clients each day. I had successfully transitioned from owner operator to entrepreneur. My sole focus was business growth, direction and managing my management team, who managed operations and team daily and weekly. I went on to help business owners with marketing strategies, work with and develop the Latest Technology for the hair and beauty industry and How to Work Smarter, Not Harder in businesses. 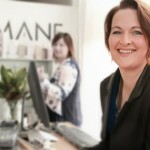 At the time of writing this, I work in Marketing at Timely, cloud based software for the hair & beauty industry and recently launched an app HAIRshare where stylist and clients come together to find- love and share great hair. 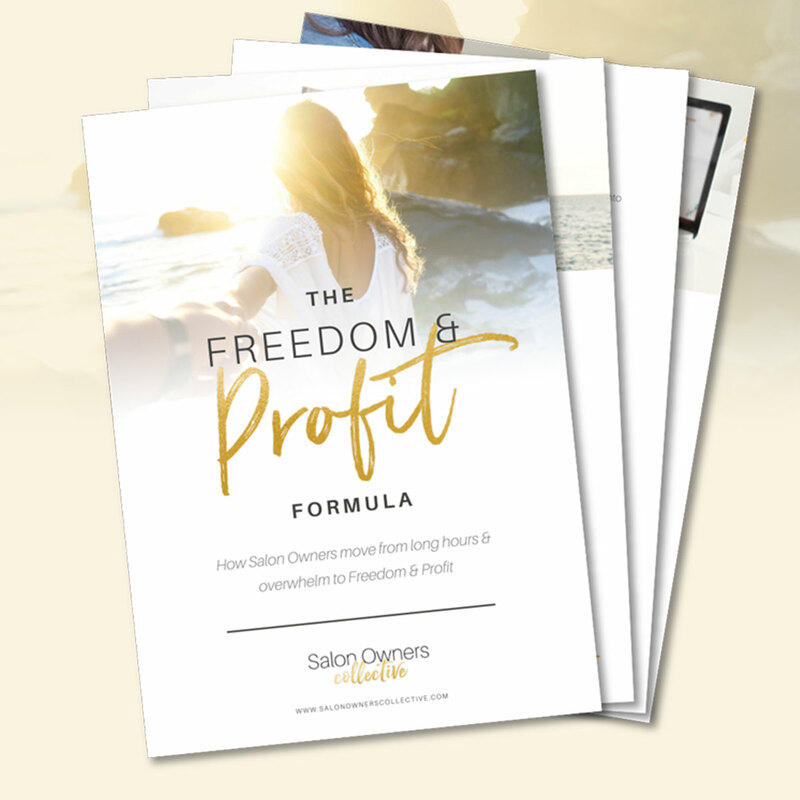 "And now I want to help you grow your business beyond seeing clients all day and the doing admin in your evenings"
I want to help salon owners transform their business - free yourself up from being booked by the hour? I see so many business owners working hard and working more hours while earning the same or less that they could earn working for someone else. Because we’re entrepreneurs at heart and there is fire burning in there that keeps us awake at night filled with possibilities of what could be. We all need a hand, so it my turn to give back and help you leverage your team, utilise your knowledge and your passion to make more money and work less hours. Salon Owners collective was born from the idea that we learn best when we are supported by our peers and we are inspired by those that have had success before us. While I have loads of experience, I don’t know all the answers so the collective aims to bring experts who have forged the path before us and are willing to share their experiences with us. And not just the good and the glamourous. I want to hear and share the hard times, even those that we put up on a pedestal have had times when they feel alone and want to cry because their world has been turned upside down. Hearing those remind us that we too can be successful and we’re on the right path. The road to freedom it filled with adversity and triumph. Joy and tears, late nights and long hours are part of the entrepreneurs path. Salon Owners collective is here so you don’t feel alone, have support and knowledge.